McBryde Oil Company has been a leading provider of on-road and off-road diesel fuels since 1930. Formulated for all diesel engines, these fuels are produced to high standards to reduce rust deposits and keep your vehicle’s injectors clean. We pride ourselves on delivering the highest quality ultra-low sulfur diesel (ULSD) for road use and off-road dyed diesel fuel for tractor use. We understand the importance of reducing downtime. That’s why we maintain our own trucking fleet to transport fuels in a timely manner directly to your job site. 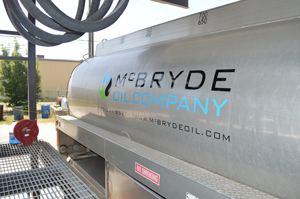 No matter your industry, McBryde Oil Company stands uniquely positioned to serve all your wholesale diesel needs in Central Texas. Contact us today to learn more about the benefits of using our diesel fuels for your business in Kerrville, Boerne, Fredericksburg, Junction, or Bandera.